I really like books that rewrite fairy tales and mythology. I remember reading Robin McKinley’s Deerskin and Spindle’s End and Beauty when I was younger, each of which rewrote classic fairy tales in interesting ways and that were directed at a teenage reading audience. John Connelly’s The Book of Lost Things brought fairy tale characters into one place, in a sort of dark and interesting way, while books like Eden Robinson’s Blood Sports and Suzanne Collins’s The Hunger Games integrate aspects of fairy tales and mythology more subtly into their work (Hansel and Gretel in Robinson’s case, while Collins has said that The Hunger Games was influenced by Theseus and the Minotaur). I was excited to find out about Marissa Meyer’s Cinder last year, after receiving an ARC for its sequel, Scarlet (which meant that I very quickly read Cinder so I could get to its sequel). Both books are part of a series called The Lunar Chronicles, which relocate fairy tales such as Cinderella and Little Red Riding Hood to a futuristic setting. In this future, there are cyborgs and androids, and a lunar colony on the Moon ruled by a terrifying queen (who’s characteristics seem like they are borrowed from traditional fairy stories). There is also the existence of an incurable plague that can infect anyone at any time. Cinder lives in New Beijing, working as a mechanic in order to make a profit for her stepmother and stepsisters. Under the laws in this future setting, cyborgs – humans with robotic components – don’t have the same freedoms that humans do. 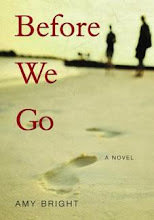 Cinder is bound to her stepmother; any money that she makes goes into her stepmother’s bank account, and she can’t leave the service of her adopted family. When Prince Kai visits Cinder’s stall at the market, seeking repairs for his android, Cinder’s life suddenly careens down a new path. She becomes caught up in the secrets of the palace, privy to the relationship between Earth and the Moon, and introduced to the possibility that she may be more than she believed herself to be. The story follows with the traditional thread of Cinderella, all the way up to the ball. 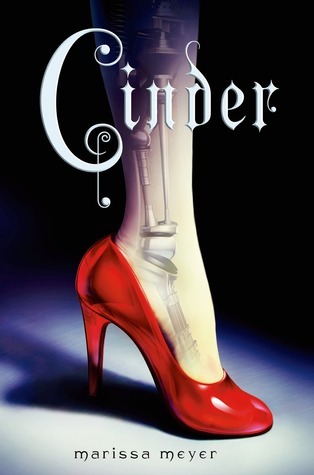 But instead of losing a glass slipper, Cinder has much more at stake to lose: her entire mechanical foot. 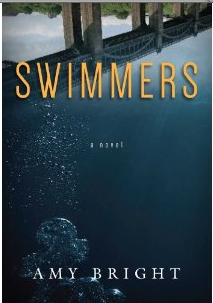 Meyer reinvents the story, making it different, but the same. The last story that really re-invented Cinderella was the Drew Barrymore movie Ever After, where the thread of the traditional fairy tale was completely encased by a new story, with new characters (including Leonardo di Vinci) and motivations. I liked Cinder for this reason. It echoed back the traditional fairy tale, while not being afraid to veer from that original story in order to be more inventive. The third book in The Lunar Chronicles, Cress, is due out in February.